DP World PLC announces the acquisition of the holding company of P&O Ferries and P&O Ferrymasters for a purchase consideration of GBP322 million. DP World PLC announces the acquisition of the holding company of P&O Ferries and P&O Ferrymasters (together P&O Ferries) for a purchase consideration of GBP322mn (USD421mn¹), implying a 2017 Enterprise Value/EBITDA valuation multiple of 6.1x. P&O Ferries is a pan-European integrated logistics business consisting of a market leading roll-on roll-off (Ro-Ro) ferries operation and a European transportation and logistics solutions provider, P&O Ferrymasters. 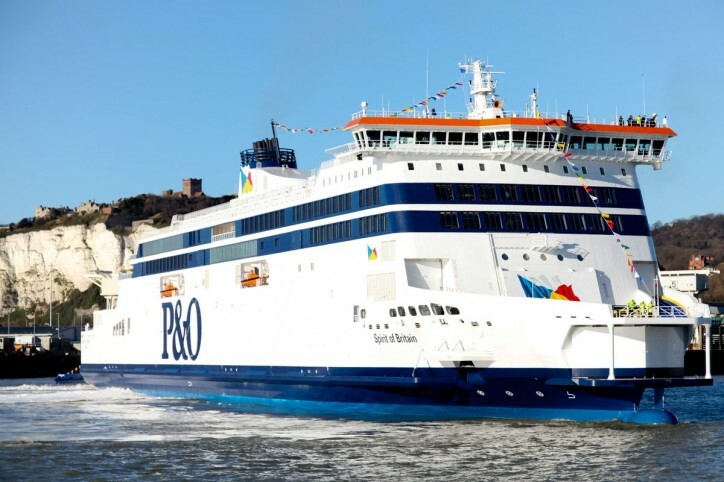 P&O Ferries operates a fleet of 21 vessels on the Short Sea, North Sea and Irish Sea sectors across 11 ports whilst P&O Ferrymasters provides supply chain solutions in 19 European locations. P&O Ferries handles over 2.5mn freight units per year which accounts for approximately 75% of group revenues. P&O Ferries reported FY2017 revenues of GBP1.1bn (USD1.4bn) and EBITDA of GBP100mn (USD131mn). The acquisition is expected to be earnings accretive from the first full year of consolidation and is expected to meet DP World’s return targets. On a proforma basis, DP World’s net leverage as of 1H2018 would be 2.96x Net Debt to EBITDA with this acquisition compared to the reported 2.91x. The transaction is subject to customary completion conditions and is expected to close in the first half of 2019. As the acquisition is considered a related party transaction under the DFSA Market Rules, DP World will comply with the relevant requirements of DFSA Market Rule 3.5.3. Sultan Ahmed Bin Sulayem, Group Chairman and CEO, DP World, said: “We are pleased to announce the return of P&O Ferries back into the DP World family. P&O Ferries is a strong, recognisable brand and adds a best-in-class integrated logistics provider into our global portfolio. Importantly, P&O Ferries provides efficient European freight connectivity building on last year’s acquisition of Unifeeder. This transaction is in line with our strategy to grow in complementary sectors, strengthen our product offering and play a wider role in the global supply chain as a trade enabler. P&O Ferries has delivered a robust performance in recent years and we aim to drive further value through increasing efficiencies and offering value-added solutions to our customers. Overall the transaction offers compelling value strategically and financially, and we look forward to P&O Ferries contributing to driving shareholder value in the coming years.